Having been in the mortgage industry for almost 10 years now, I've learned quite a bit about real estate investments. One thing that became evident to me in my first few years as a broker was that the wealthiest people I met owned a lot of real estate. Of course the Vancouver housing market is an anomaly and the quick rise in values is not indicative of most other cities. With that being said, the same principles apply almost everywhere. Wealth has been tied to real estate ownership for centuries. It was the Italian economist Wilfredo Pareto who established the Pareto Principle (or 80/20 rule) in 1896. Pareto found that 80% of the land in Italy was owned by 20% of the population. The same is true in most countries around the world today. This teaches us that home ownership, both primary residences and investment properties, is very important and can build tremendous wealth over time. Of course leveraging yourself with a lot of mortgage debt can also work against you. In times where prices fall, interest rates rise, and/or vacancy rates go up, property owners must be prepared with the necessary liquid assets and income to weather the storm. It's important to set up your mortgage portfolio with the appropriate terms in order to be able to qualify for future mortgages factoring in affordability. I firmly believe everyone should purchase a primary residence if they can afford it. From there, it makes sense to acquire an investment property, which could also be a house with a basement suite. Duplexes, triplexes and four-plexes are great investment properties as rental income vs cost (i.e. cap rate) can be better than some single unit properties. Cash-flow can be higher in rural areas compared to the larger cities, but may have lower price appreciation. In most cases buying real estate is not a 'get rich quick' scheme. Like Warren Buffet's investing strategy, it's more about long term planning and holding onto valuable assets. This is a tried and tested method for building wealth over time. Don't wait to buy real estate; buy real estate and wait. In practicing what I preach, I purchased two investment properties in the last two years in Prince George BC with a business partner. It definitely took some work and money to get these properties fixed up and rented. As of today things are going well with the duplex (3 units) and single family house all fully rented out. My plan is to acquire more investment properties in the future, and you can too by following these steps below. Make sure you have 20% or more to put down on the investment property. You can sometimes take this from your home equity or a line of credit if there is room there. Confirm that your income is high enough to service all your debts (debt service calculation with help from a mortgage broker). Fall in love with the numbers, not the property. Look for properties where the math is good in terms of rent vs cost. A good example is getting $1000 in rent for every $100k spent, which can be found in some Canadian cities. Just do it. The easiest way to do it is to purchase in the city where you live, otherwise you can hire a property manager. Please contact me if you'd like to discuss getting approved to purchase an investment property. 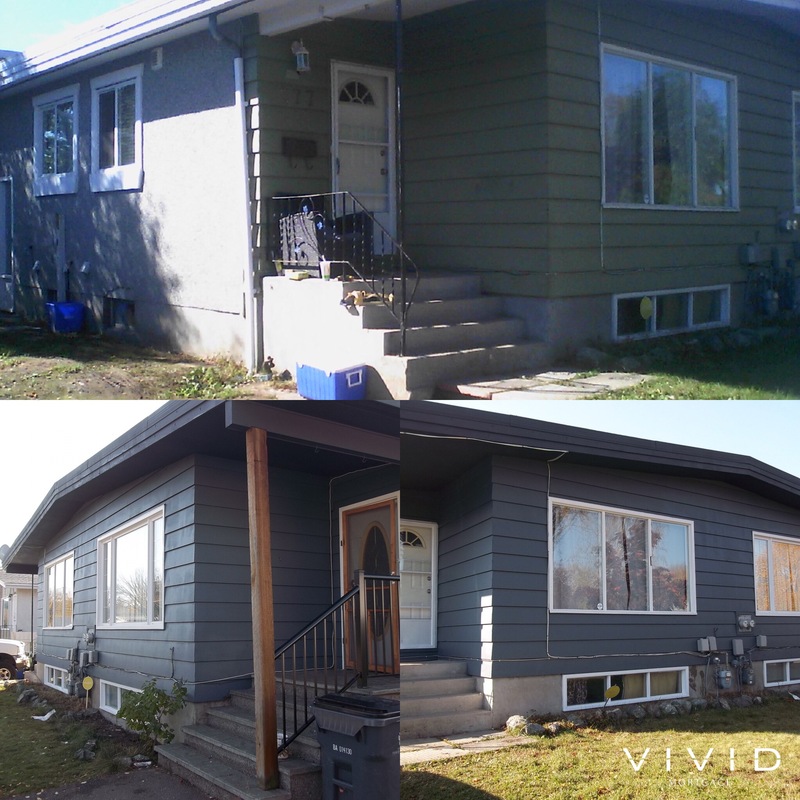 Photo below shows a before and after of our duplex after being painted and exterior cleaned up.